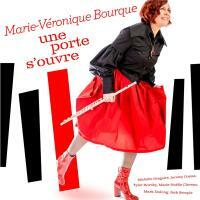 Marie-Véronique Bourque's debut album Une Porte s'ouvre is dedicated to French Jazz and features herself on flute. She is accompanied by incredible musicians from Calgary, Regina and Quebec: Michelle Grégoire, one of Canada's most significant jazz talents, Jeremy Coates, one of the Western Canada's busiest working bass player, Tyler Hornby, Juno Award nominee, Jack Semple, Juno Award winner, Mark DeJong, WCMA nominee, and Marie-Noëlle Claveau, Gala de l'ADISQ nominee. The album contains nine tracks. Three of them are originals and include ‘'Excusez-moi'' written in collaboration with Michelle Gregoire. This song won a semi-final award at the Canadian songwriting Competition 2018. Other tracks include songs from Charles Aznavour, Serge Gainsbourg, Claude Nougaro, Michel Legrand, Maurice Ravel, and Moe Koffman. You can buy this album now. 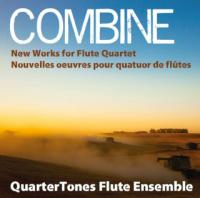 The Quarter Tones Flute Ensemble was founded over twelve years ago by Tara Semple and Linda Lucyk. The other two members of the group are David Popoff and Marie-Véronique Bourque. The Quarter Tones performs a wide variety of music: sacred, jazz, classical, ethnic, baroque and modern. They are known for their unique, beautiful sonority because they utilize bass flute, alto flute, C flute and piccolo. The members are continually looking for exciting new arrangements and composers for their flute ensemble. COMBINE is a fully bilingual album. It includes two works commissioned by the QuarterTones Flute Ensemble and written by Reginian composers Jason Cullimore and David McIntyre. The album also features the works of Pierick Houdy (France), Sören Sieg (Germany) and Michael Bakmcev (Australia). 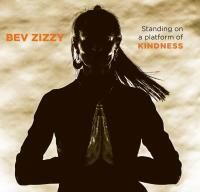 I am very proud and privileged to be one of the 13 musicians invited by Bev Zizzy to accompany her on her new album. 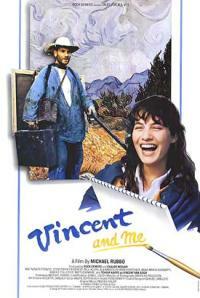 Vincent and Me (French-language title: Vincent et moi) is a 1990 Canadian fantasy film. The movie was directed by Michael Rubbo and is the 11th in the Tales for All (Contes Pour Tous) series of children's movies created by Les Productions la Fête. At the age of 114, Jeanne Calment appeared briefly in the film as herself, making her the oldest film actress ever. Calment claimed to have met Vincent van Gogh ca. 1888 when she was 12 or 13. 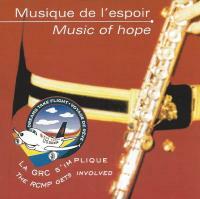 Music for Hope is a single CD which was recorded more than 20 years ago by two RCMP members. It was dedicated to the Dreams take flight Program. All profits were donated to the cause. Music from Luc Pilon. On guitare: Luc Pilon and on Flute: Marie-Véronique (MV) Bourque.